Marlon Stockinger also shares details of his relationship with Pia Wurtzbach. 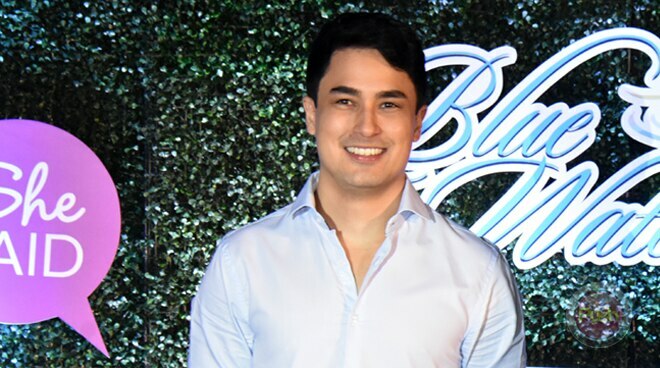 As the boyfriend of beauty queen and actress Pia Wurtzbach for a year and a half now, 27-year-old Marlon Stockinger said they both try their best to invest time in their relationship despite their busy schedules. “The way Pia and I keep a healthy relationship is of course we have to balance. She has work, I have work, and we make time for each other. We also make time to do our own thing and pressure ourselves into having a date together and I think just having the right balance is really important. Doing things as a couple like going to a spa I think that’s really nice and we get to enjoy ourselves, take care of ourselves personally and one another. So I think when we do those little things down the road, you keep it consistent, I guess that’s the key to having a long and happy relationship,” he shared during their Blue Water Day Spa presscon held last June 19 in Quezon City. The newest Blue Water Day Spa celebrity ambassador admitted it was not hard for him to cross over to modeling since he has always been exposed to the limelight. “One, it’s been very easy because my mom actually used to be a model before. So I grew up in the industry. It’s actually been a big part of my life. Even with racing, although it’s very different. Modeling is part and parcel of what I do. As an athlete you have to have a lot of sponsors as well so it’s been constant in my life even when I was racing. So I think the transition has been really easy as well,” he shared. In terms of acting, Marlon’s exposure has only been as part of the end credits of his girlfriend’s 2017 Metro Manila Film Festival entry The Revengers Squad which he enjoyed being a part of. “It’s not the first time that we’ve acted together because I did the credits for Pia’s Revengers movie. So we had a scene together there. When there’s going to be some more, I don’t know. Being an actor, Pia is very stunning at what she does but maybe, who knows in the future. It was really honestly just for fun. I only found out one day before they wanted to shoot that scene and it was super organic. We were actually just being ourselves. It was a lot of fun and I was really happy to just share the moment with Pia. I had a lot of fun doing it and it was a first experience for me. Thanks to Vice (Ganda) and Pia for allowing me to do that with them. One day, they told me tomorrow I was going to be on the movie set and that’s how it happened. So very organic siya. It wasn’t very far from how we are together as a couple,” he recalled. Even with his leading man looks, the 27-year-old Fil-Swiss race car driver admitted he would rather leave acting to Pia than be part of it himself. “Now when it comes to something like a role, I don’t know. Pia obviously is amazing at acting so that takes years to practice. If there’s a chance maybe. I’m not saying no but I think I like our relationship dynamic at home,” he added.